he nodded and said yes. 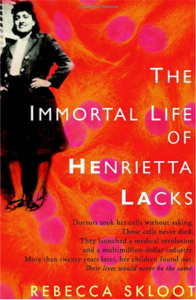 The Immortal Life of Henrietta Lacks is the 8th book I’m reading for my Before 25 Bucket List! I’m curious. And that cover is amazing!